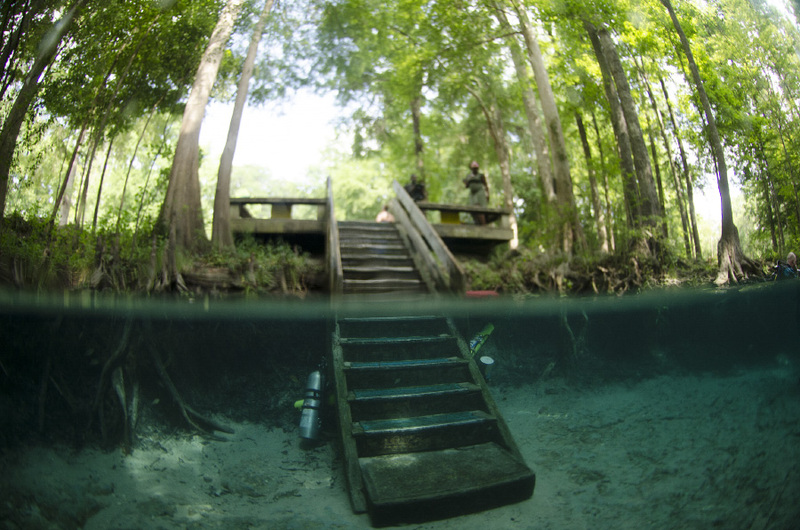 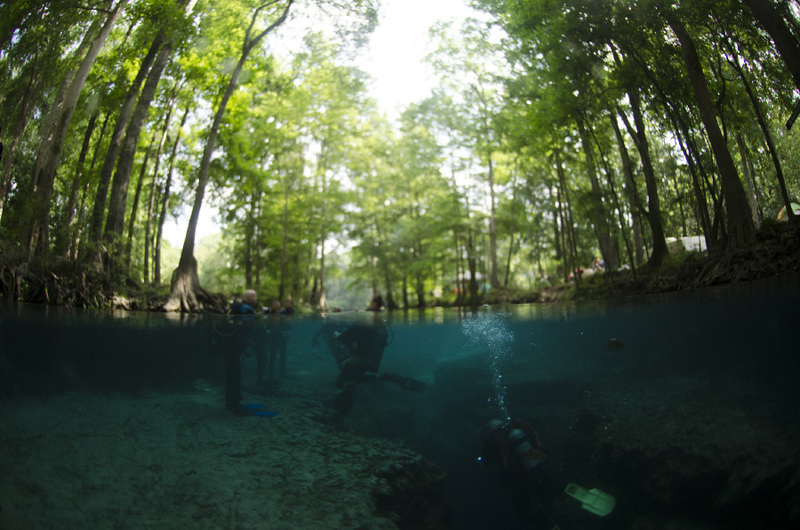 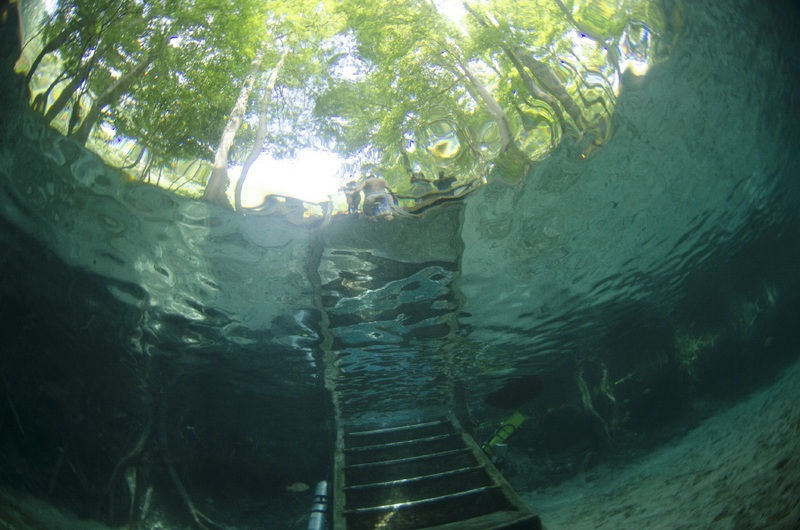 There are actually four caverns on Ginnie Springs Park property. 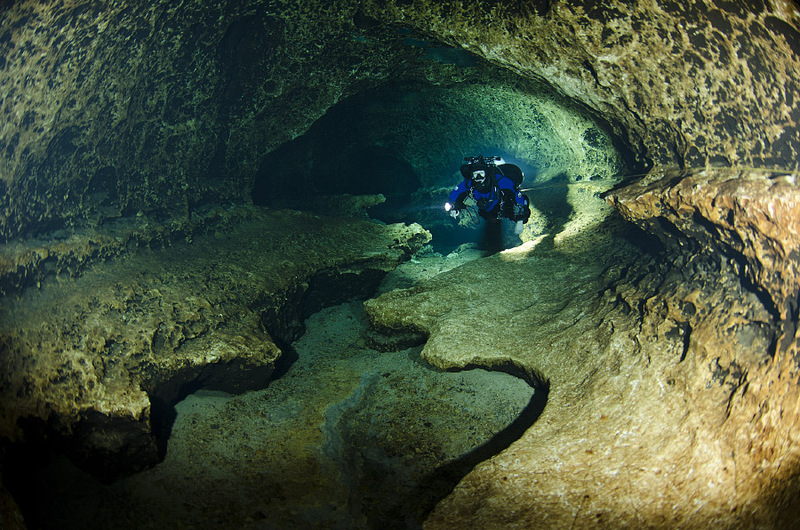 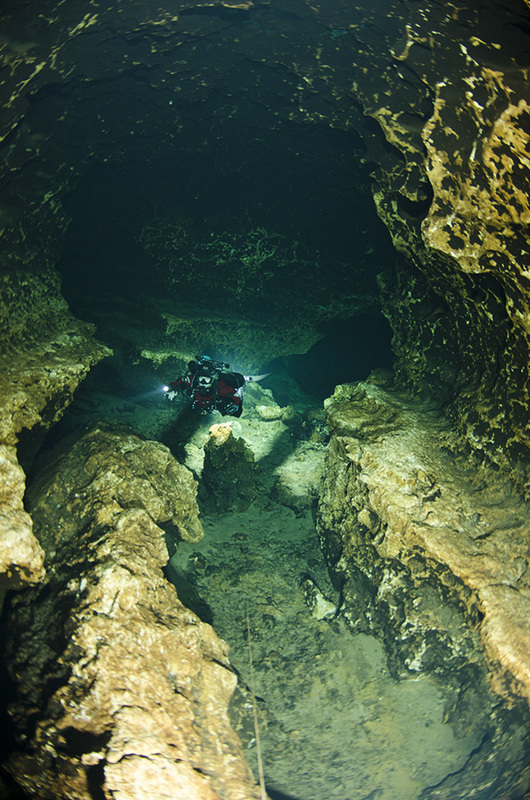 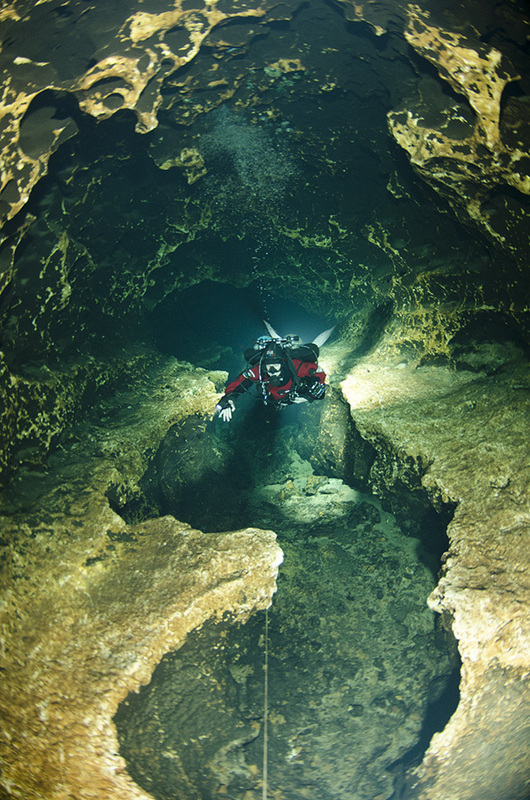 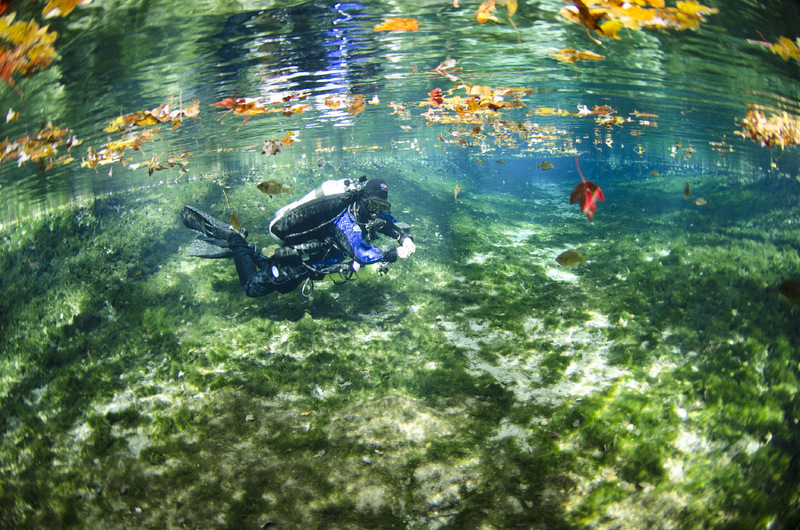 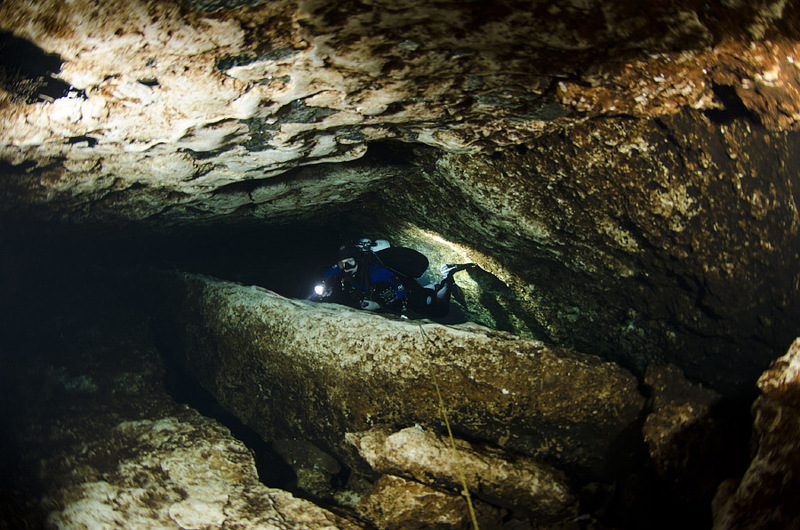 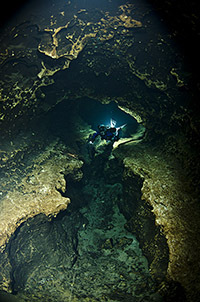 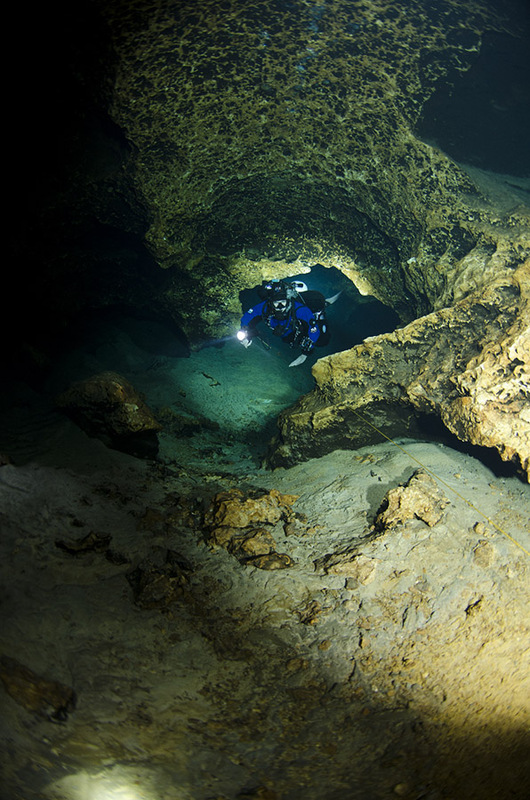 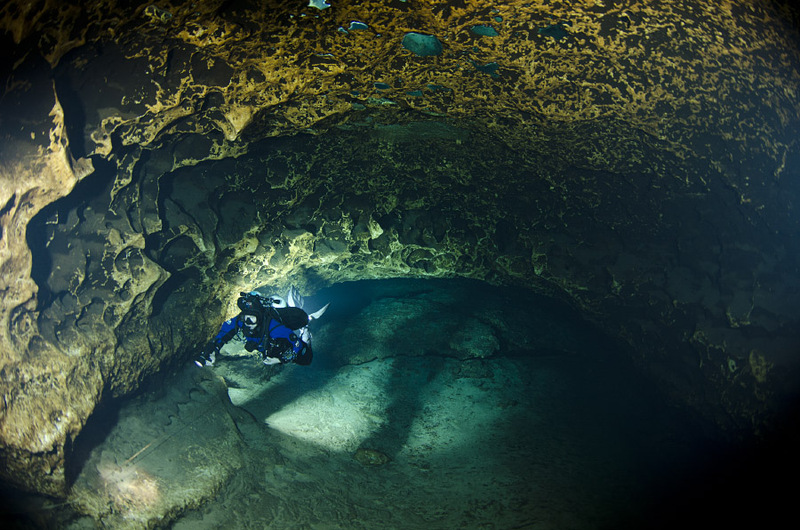 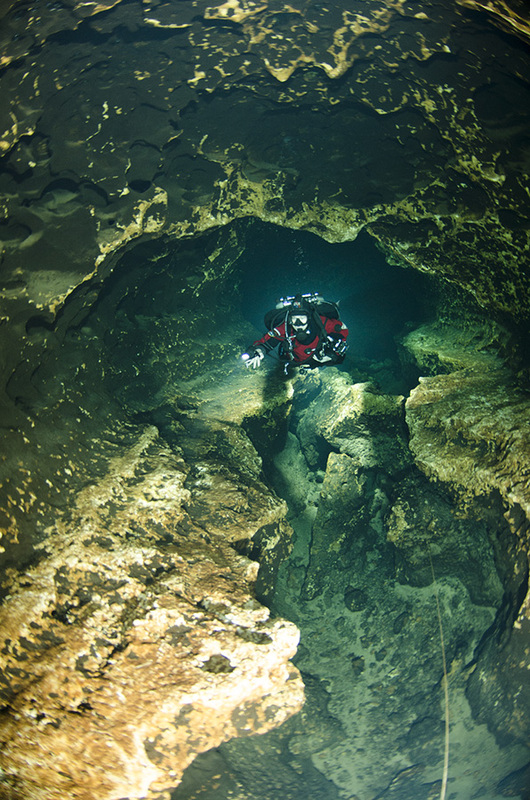 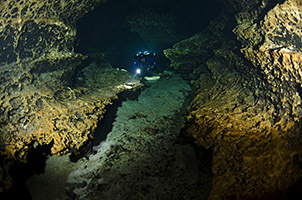 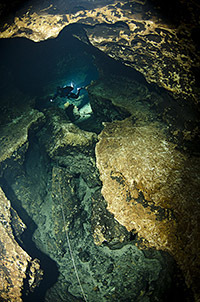 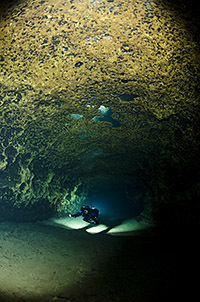 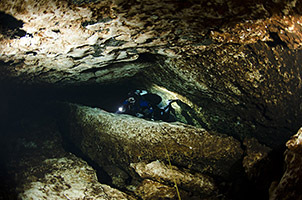 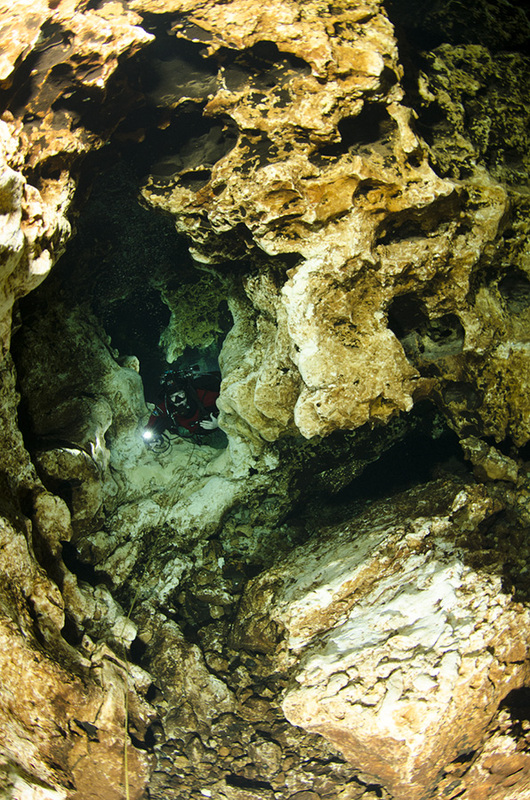 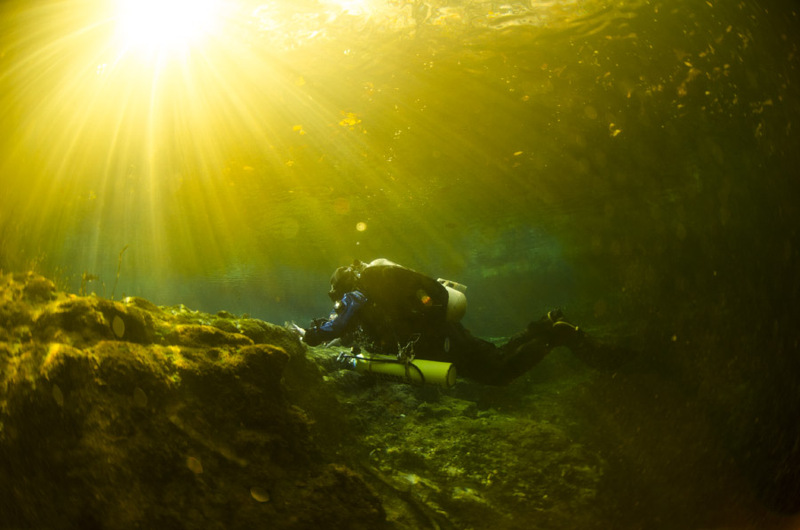 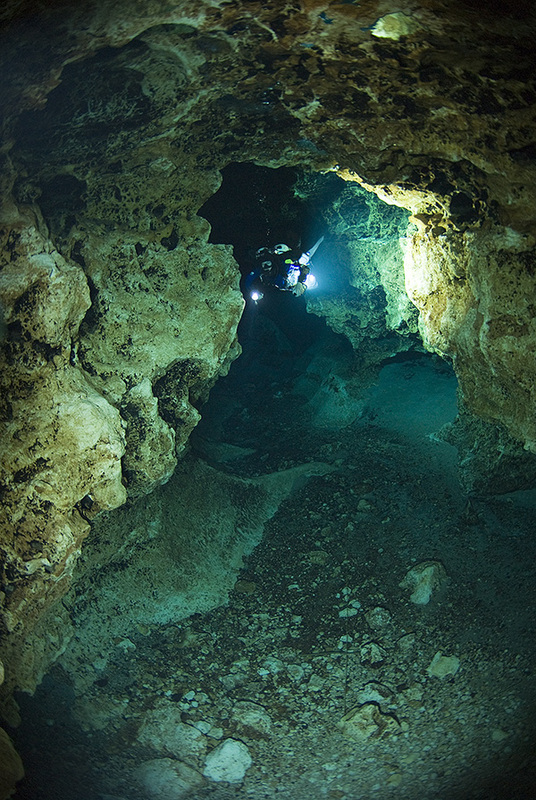 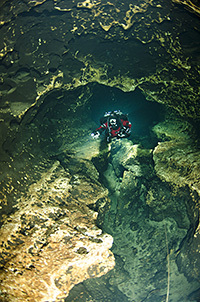 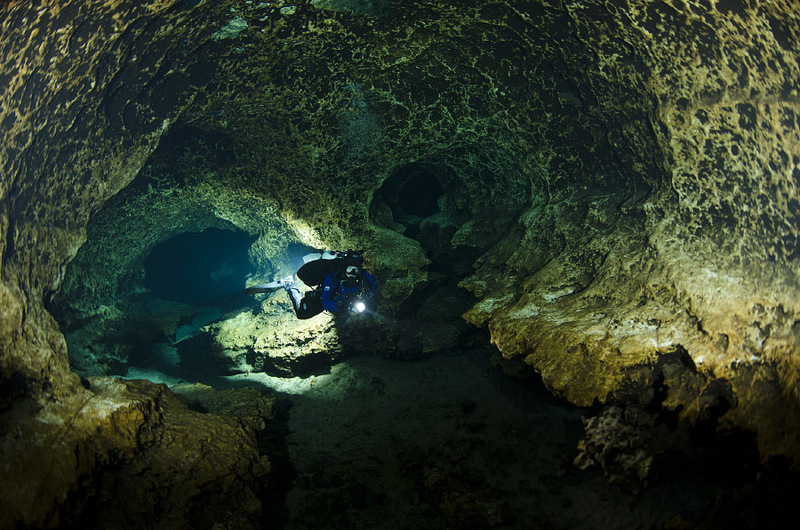 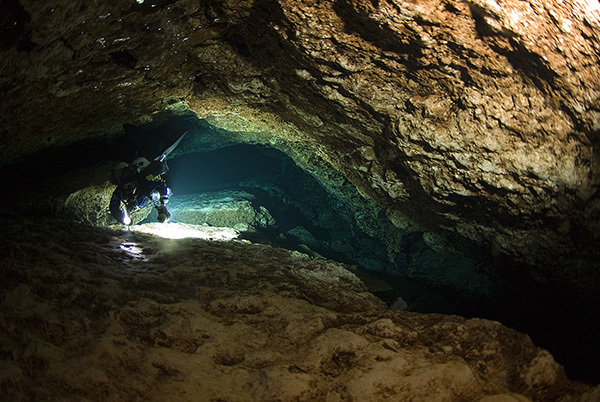 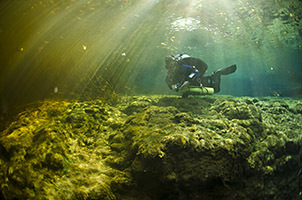 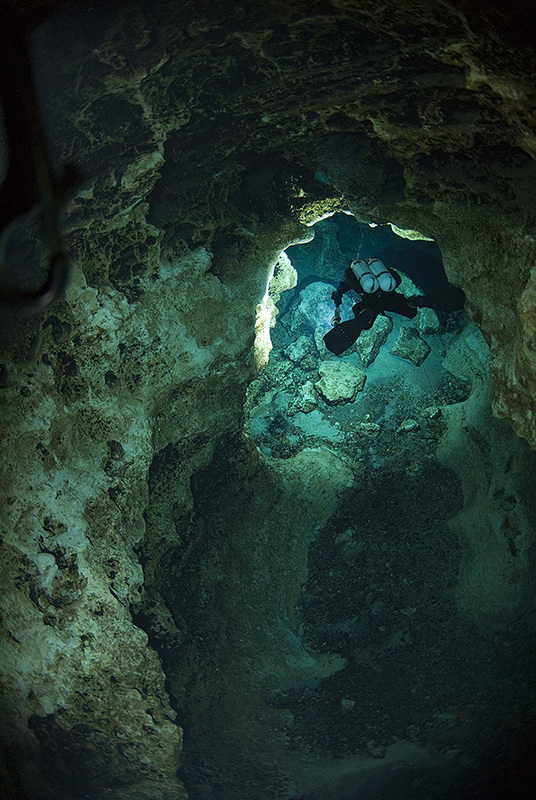 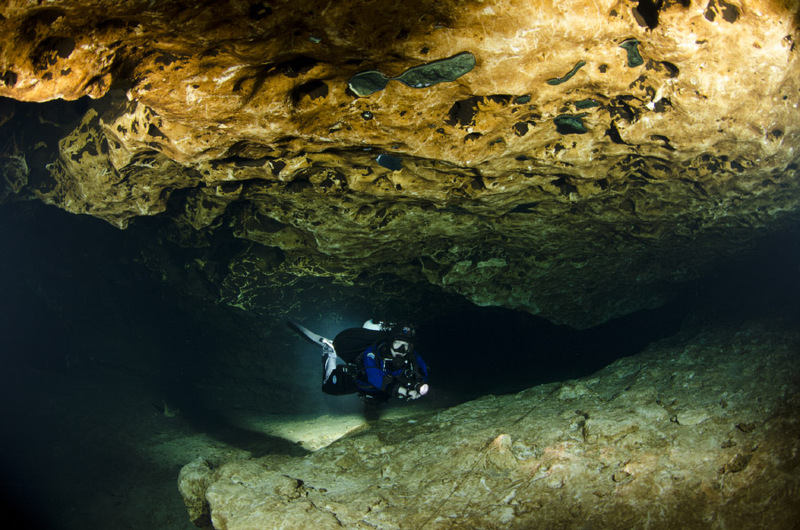 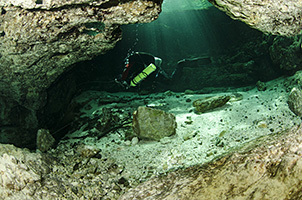 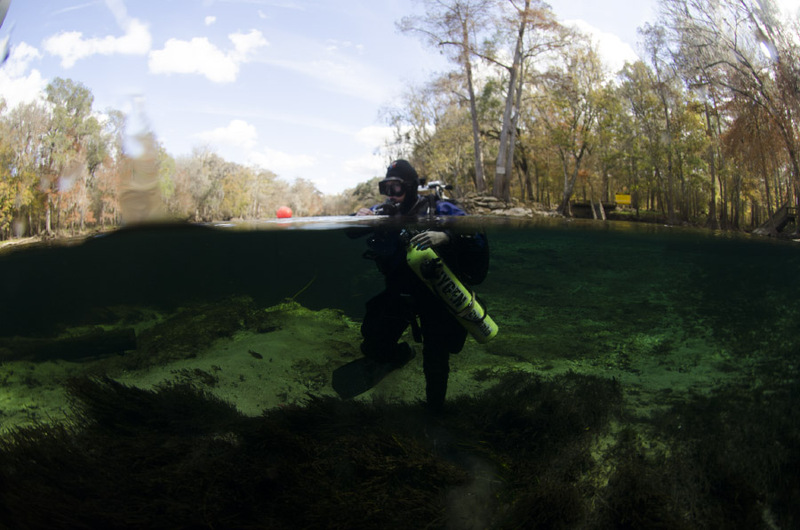 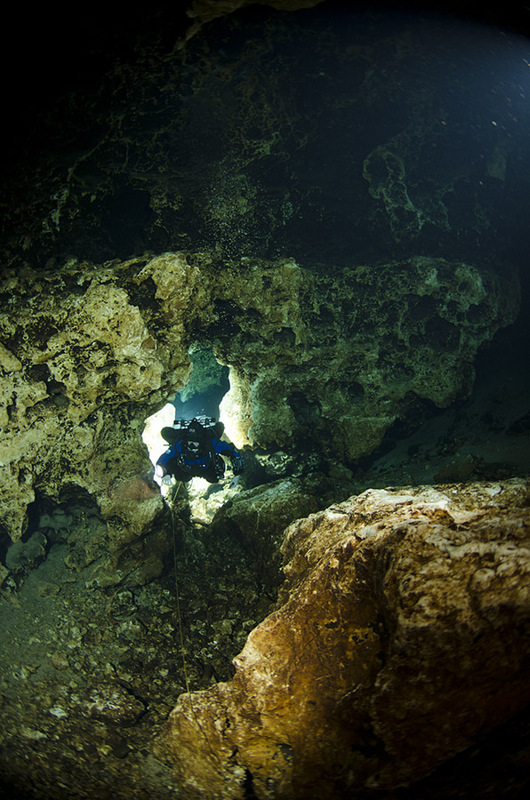 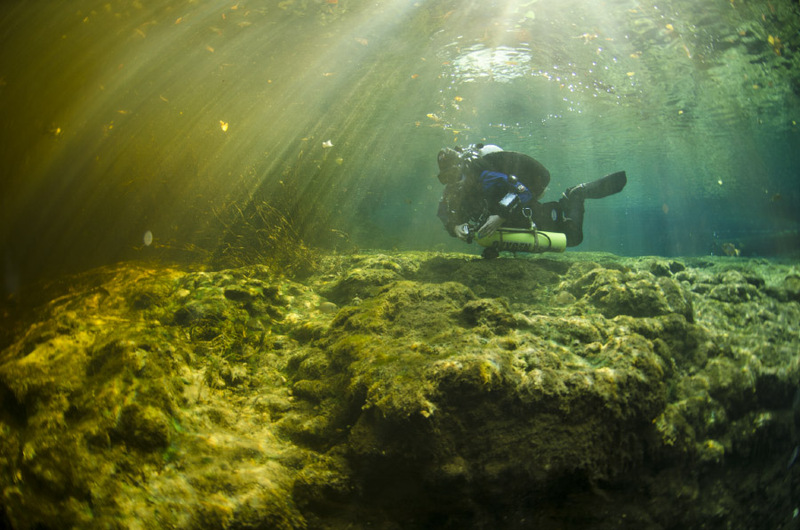 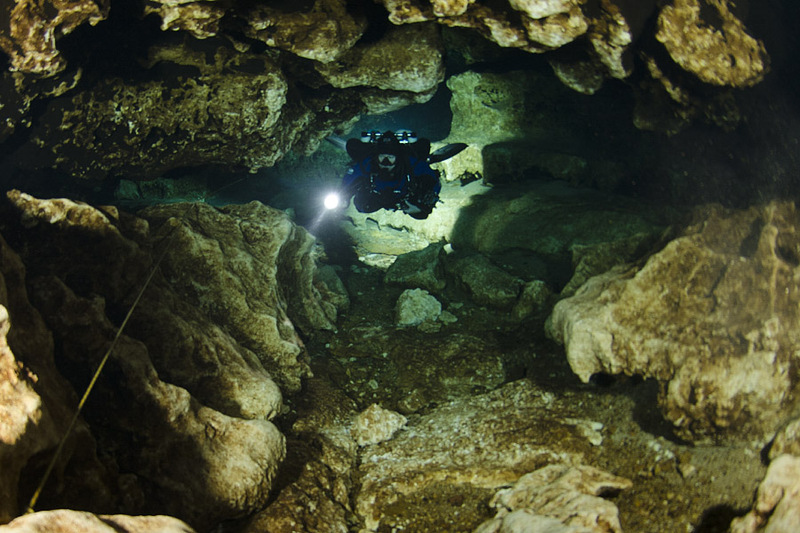 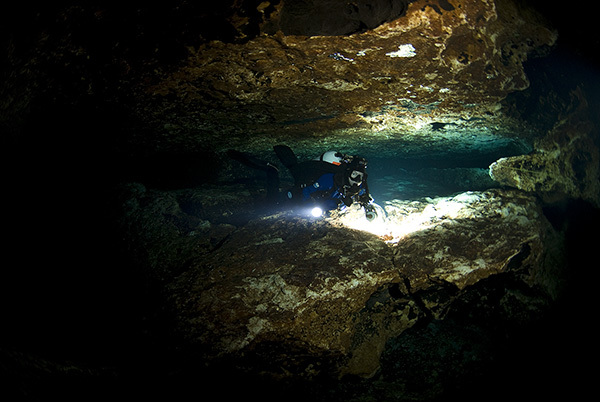 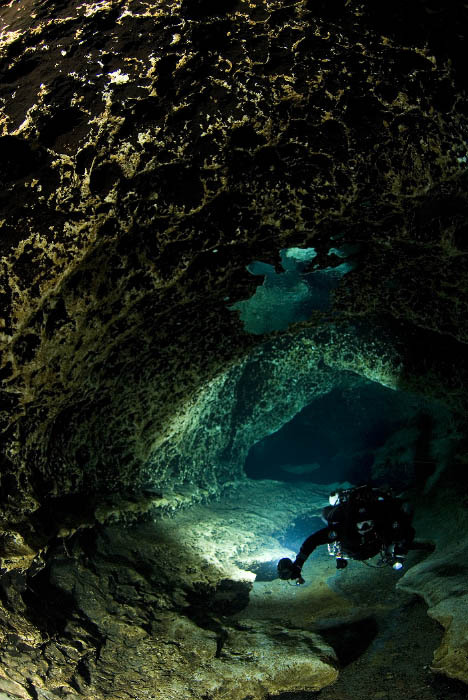 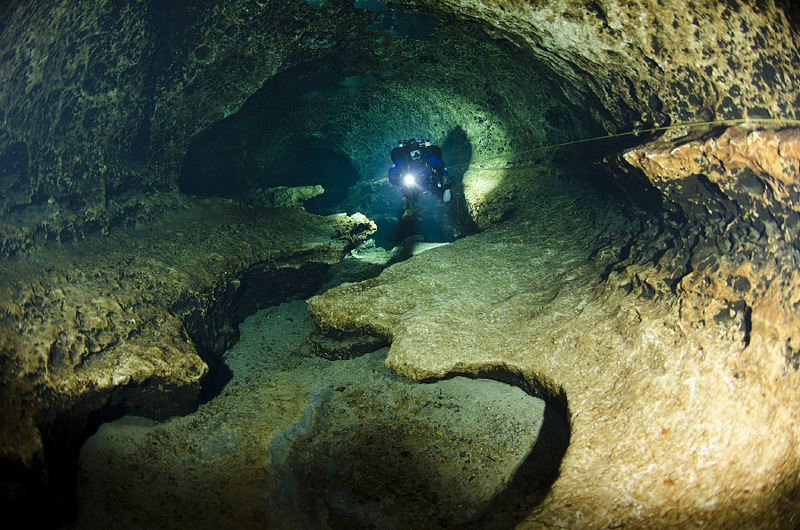 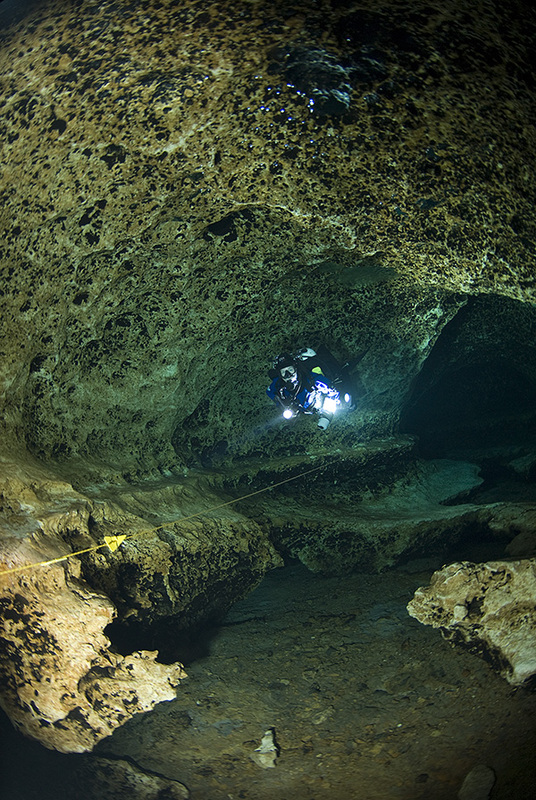 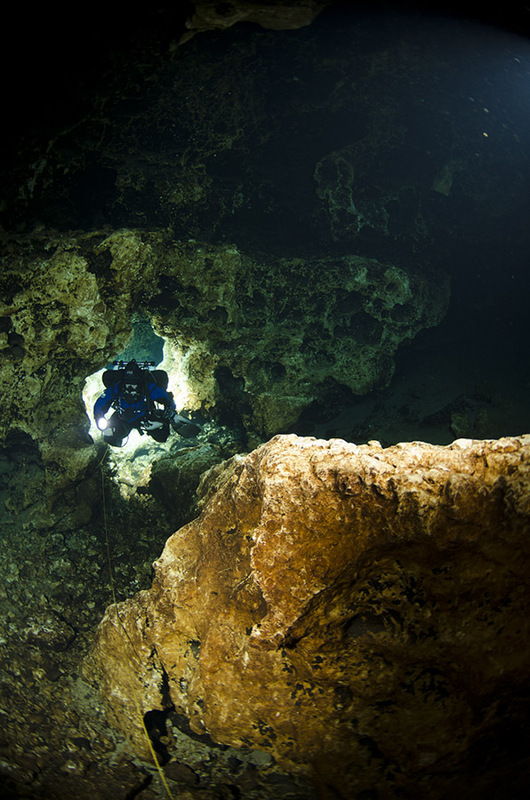 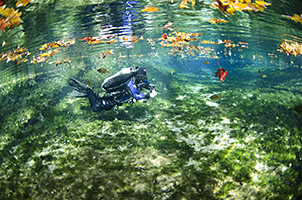 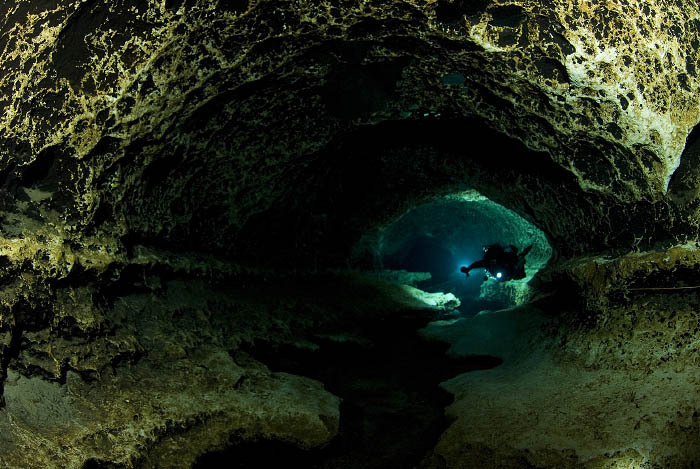 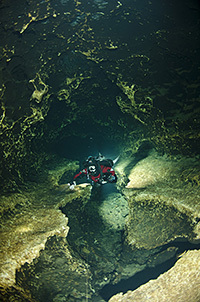 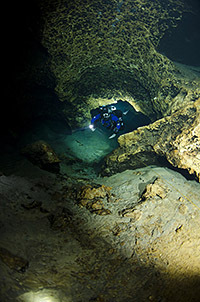 At Ginnie, the heavy metal grate blocks the entrance into a cave, so non-cave trained divers are allowed to have lights on them. 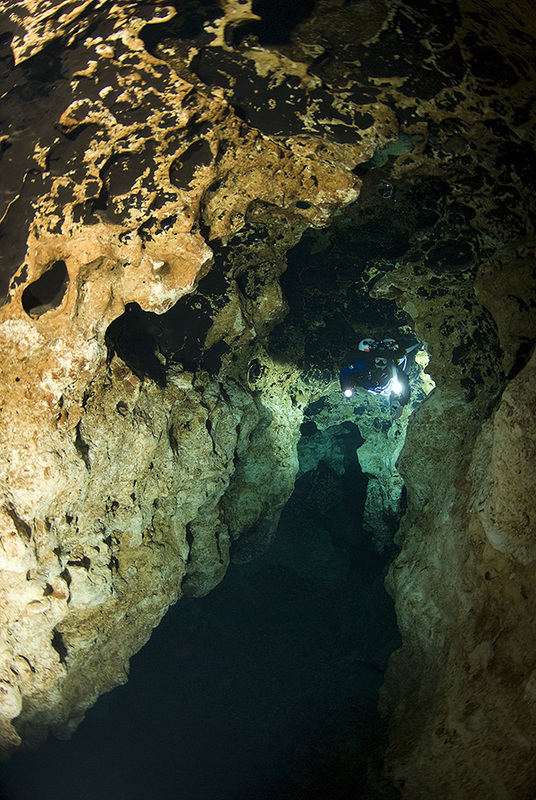 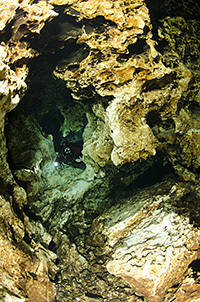 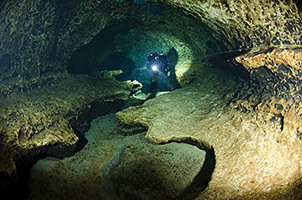 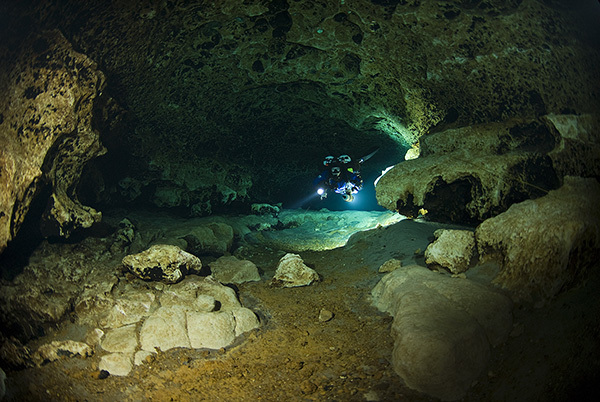 Little Devil, Devil's Eye and Devil's Ear are all active cave sites and non-cave trained divers only allowed if they do not have any lights on them. The water temperature in the springs was about 72F and the brackish colored Santa Fe river was much much colder. 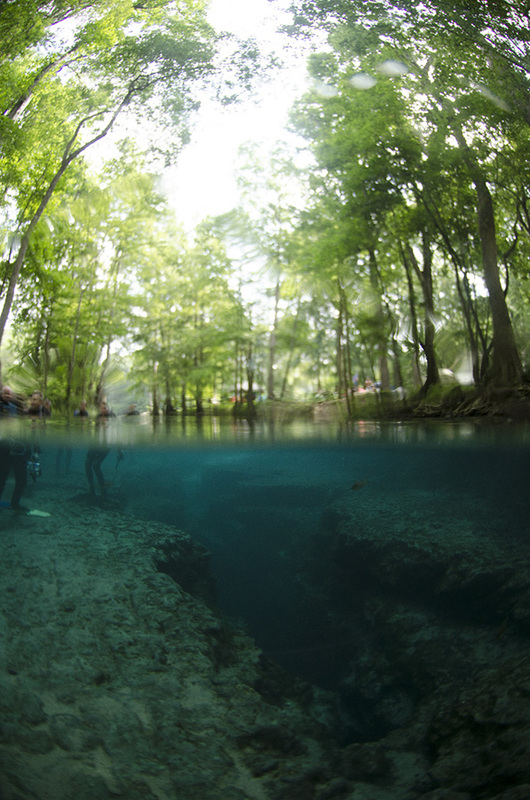 The mixing zone of the river and the spring provided for some interesting pictures. The cave system that starts at Devil's Ear or Eye is massive and I only visited the first 1500 ft or so along the main line and couple of early jumps. The cave starts small, especialy around the Lips area, but them opens up into the large passages with sand dunes. 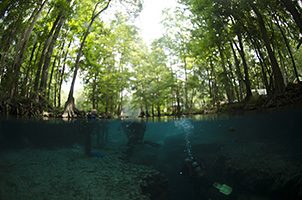 I could easily spend the whole trip diving only Ginnie if fighting the flow was not so tiring.